Excellent service. Very helpful and polite men. Kevin & Glen were fantastic. Great. Would recommend to friends and family. Great service and friendly chaps. Recommend. Thank you. From start to finish we have been delighted with this company and would highly recommend them. Brilliant!!! Wayne & Kev were fantastic - not so impressed by Tom & Glen. Both friendly & helpful (Kev & Pat). Completely fantastic service - Thank you so much. 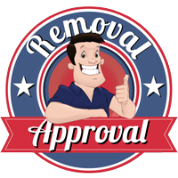 Celia emailed in saying "I was very impressed with the workmen who did my removal I would have no hesitation in referring your company to anyone." Card: Very good service. Very polite. Would definitely recommend. Email: All settling in really well thanks to the superb team of guys that helped yesterday. Fantastic service Nicky, we were so pleased and amazed at how quickly and easily it all went. A huge thank you to the guys from us both, we will definitely recommend you when people ask. Absolutely wonderful team, can't thank them enough. Very professional job, highly recommend. Thank you!! First Class! Excellent! Very pleased throughout. Would definitely recommend to friends and family.